This began in 1914, with the UK’s entry into the First World War. The Bank of England wanted to suspend convertibility of banknotes into gold. Keynes counselled wisely that the bank should not do so. Gold was finite, but credit elastic. In 1933, US President Franklin Roosevelt issued an executive order making ownership of gold a crime. FDR relied on the Trading with the Enemy Act of 1917 as statutory authority for this edict. Since the US was not at war in 1933, the enemy was presumably the American people. In 1971, US President Richard Nixon ended convertibility of US dollars into gold by trading partners of the US. Closing the gold window was said by Nixon to be temporary. Forty-five years later the window is still closed. In 1973, the G7 nations, and the IMF demonetised gold. IMF members were no longer required to hold gold reserves. Gold was now just another commodity. The view of the monetary elites was that gold was dead. Yet, like Banquo’s ghost, gold insists on its seat at the monetary table. The US holds 8,133 tons of gold. The members of the eurozone and ECB hold 10,788 tons. China reports holdings of 1,788 tons, but actual holdings are closer to 4,000 tons, based on reliable data from Hong Kong exports and Chinese mining. After decades as net sellers of gold, central banks became net buyers in 2010. A scramble for gold has begun. What drives gold’s new allure? In some cases, central banks are constructing a hedge against US dollar inflation. China has $3.2 trillion in reserves, over half of which is denominated in US dollars, mostly US Treasury notes. The dollar has no greater friend than China because its wealth is held in dollars. Still, inflation looms. China cannot dump its Treasury notes; the Treasury market is deep, but not that deep. If Chinese selling of Treasuries became a threat to US interests, a US president could freeze Chinese accounts with a phone call. The Chinese know this. They are stuck with their dollars. They fear, rightly, that the US will inflate its way out of its $19 trillion mountain of debt. China’s solution is to buy gold. If dollar inflation emerges, China’s Treasury holdings will devalue, but the dollar price of its gold will soar. 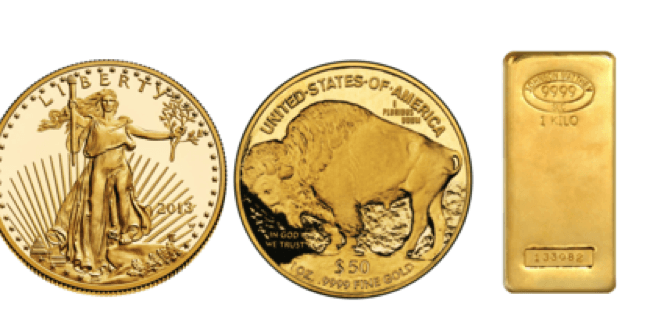 A large gold reserve is a prudent diversification. Russia’s motives are geopolitical. Gold is the model 21st-century weapon for financial wars. The US controls dollar payments systems and, with help from European allies, can eject adversaries from the international payments system called Swift. Gold is immune to such assaults. Physical gold in your custody cannot be hacked, erased, or frozen. Moving gold is a simple way for Russia to settle accounts without US interference. Countries are also acquiring gold in advance of a collapse of the international monetary system. The system has collapsed three times in the past century. Each time, major financial powers came together to write new rules. This happened at Genoa in 1922, Bretton Woods in 1944, and the Smithsonian Institution in 1971. The international monetary system has a shelf life of about 30 years. It has been 30 years since the Louvre Accord (an upgrade to the Smithsonian Agreement). This does not mean the system will collapse tomorrow, but no one should be surprised if it does. When the financial powers next convene to reform the system, there will be no appetite for the dollar’s exorbitant privilege. The Chinese yuan and Russia ruble are not true reserve currencies. The only feasible benchmarks for a new system are the IMF’s world money, called special drawing rights, and gold. Critics claim there is not enough gold to support the financial system. That’s nonsense. There is always enough gold, it’s just a matter of price. Based on the M1 money supplies of China, the eurozone, and the US, and with 40% gold backing, the implied non-deflationary price of gold is $10,000 per ounce. At that price, a stable gold-backed monetary system could be sustained. When it comes to monetary elites, watch what they do, not what they say. While elites disparage gold at every opportunity, they are buying it, hoarding it, and preparing for the day when one’s gold determines one’s seat at the table of systemic reform. It’s past time to claim your seat with an asset allocation to physical gold.